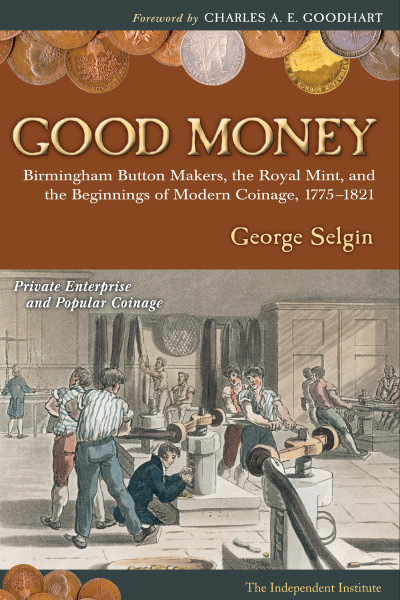 In Good Money, George Selgin tells the fascinating story of the important yet almost unknown episode in the history of moneyBritish manufacturers challenge to the Crowns monopoly on coinage. In the 1780s, when the Industrial Revolution was gathering momentum, the Royal Mint failed to produce enough small-denomination coinage for factory owners to pay their workers. As the currency shortage threatened to derail industrial progress, manufacturers began to mint custom-made coins, called tradesmans tokens. Rapidly gaining wide acceptance, these tokens served as the nations most popular currency for wages and retail sales until 1821, when the Crown outlawed all moneys except its own. Although it has long been maintained that governments alone are fit to coin money, the story of coining during Great Britains Industrial Revolution disproves this conventional belief. In fact, far from proving itself capable of meeting the monetary needs of an industrializing economy, the Royal Mint presided over a cash shortage so severe that it threatened to stunt British economic growth. For several decades beginning in 1775, the Royal Mint did not strike a single copper coin. Nor did it coin much silver, thanks to official policies that undervalued that metal. The coins that manufacturers and wage earners were left to rely on, besides being hard to come by, were badly deteriorated and, more often than not, counterfeit. The cash that allowed the Industrial Revolution to reach full stride was supplied, not by Great Britains Royal Mint, but by private entrepreneurs. When the British government failed to ease the coin shortage, private entrepreneurs took matters into their own hands by minting their own coins. From 1787 to 1797, private merchants and industrialists issued 600 tons of custom-made commercial copper coin, which was more copper coin than the Royal Mint had supplied during the previous half century. The coins were struck by a score of private mintmasters, most of whom began as button makers. One of them, Matthew Boulton, owned the worlds largest and most technologically sophisticated mint, which was the first to employ steam power. In 1797 Boultons Soho Mint began striking copper coins on behalf of the British government, ending the Royal Mints monopoly of regal coinage. Far from being inferior to official coins, Great Britains commercial coins were superior to them. Besides being heavier on average than their official counterparts, commercial pennies and halfpennies generally sported superior engravings, which made them more attractive and much harder to counterfeit. Far from demonstrating Greshams Law, according to which bad money drives good money from circulation, competition in coinage did just the opposite, supplying British workers and retailers with the best money theyd ever seen. Indeed, commercial coins were so preferred to their official counterparts that merchants, once they had a choice, often refused official coins, or took them only at heavy discounts relative to their unofficial counterparts. The superiority of Great Britains commercial coinage was due, not to private mints superior technology, as some authorities have claimed, but to the superior incentives at play in a competitive industry. Although steam-powered coining presses are sometimes said to have been uniquely capable of making counterfeit-resistant coins, steam power was actually employed only at the Soho Mint, which manufactured less than one eighth of the commercial coins issued from 1787 to 1797. Other private mints relied on manually powered presses not unlike those long possessed by the Royal Mint. They produced superior coins, not because their machinery alone was capable to making such coins, but because competition forced them to either make good money or see their business go elsewhere. In Good Money, George Selgin (BB&T Professor of Free Market Thought at West Virginia University; Research Fellow, The Independent Institute) tells the story of a fascinating and important yet almost unknown episode in the history of moneyBritish manufacturers challenge to the Crowns monopoly on coinage. In the 1780s, when the Industrial Revolution was gathering momentum, the Royal Mint failed to produce enough small denomination coinage for factory owners to pay their workers. As the currency shortage threatened to derail industrial progress, manufacturers began to mint custom-made coins, called tradesmans tokens. Rapidly gaining wide acceptance, these tokens served as the nations most popular currency for wages and retail sales until 1817, when the Crown outlawed all moneys except its own. The prologue that opens Good Money takes readers to the Welsh island of Anglesey, in the summer of 1787, where a copper miner is handed his weekly earnings only to find that they consist, not of official coins, but mainly of coins minted by his boss. They are called Parys Mine Druids, and they are only the first of many such private copper coins to come, which will supply the bulk of Great Britains small change for the next, crucial decade of its Industrial Revolution. Chapter One, Britains Big Problem, explains why Great Britains official eighteenth-century coinage arrangements werent capable of supporting the needs of an industrial economy. The chapter reviews the flawed policies that caused the Royal Mint to suspend copper coin production altogether while reducing silver coinage to a mere trickle. It also recalls employers desperate efforts, legal and illegal, to get around the coin shortage, and how those efforts backfired by leaving workers feeling more exploited than ever. The next chapter, Druids, Willeys, and Beehives, introduces Great Britains pioneer commercial coin makers and issuers, including Thomas Copper King Williams (who made the Parys Mine Druids), Iron John Wilkinson, and Lunar Man Matthew Boultonthree leading figures in Great Britains Industrial Revolution. It explores their true motives for getting involved in coining. (Boulton, for one, was hardly the altruistic anti-counterfeiting crusader most other authorities have made him out to be.) It also tells the rather sad story of John Westwood, one of the lesser-known private coinage pioneers. Soho! tells the story of Matthew Boultons celebrated Soho factory and mint. When it was completed in 1789 the Soho mint (actually the first of several Soho mints) was the most sophisticated and costly mint in the worldfar more sophisticated and costly than any government mint. Boulton, who was something of a megalomaniac, built it in anticipation of coining for the government, but ended up having to wait ten agonizing years before getting permission. In the meantime, he became a major producer of commercial coins. Once the pioneers had cleared the way, other producers and coin issuers entered the field. Chapter four, The Peoples Money, describes the heyday of commercial coinage, from 1793 to 1797, when twenty different mints supplied coins to hundreds of commercial coin issuers around Great Britain. The commercial coins marvelous engravings triggered a collecting mania that still hasnt quit; they also helped make commercial coins much harder to counterfeit than Royal Mint products. Commercial coins went a long way toward solving Britains Big Problem, and might have solved it altogether if the government had been willing to go on tolerating them. However, instead of promoting or at least tolerating competitive, commercial coinage, the government had other plans. Late in 1797 Matthew Boulton finally managed to land his long-hoped-for regal coining contract, a story told in chapter five, The Boulton Copper. Once Boulton gained his contract, other private coiners withdrew from the business, fearing that the government was now likely to suppress their coins. Although the official copper coins Boulton produced were better than the old regal copper coinage had been, and were produced in large numbers, in many respects they proved less effective at addressing the coin shortage than commercial coins had been. Eventually Boulton took part in the reform of the Royal Mint, equipping a brand new mint building with his steam-powered coining equipment. By doing so, Boulton unwittingly contributed to his own mints demise, because contrary to his expectations the government reneged on its promise to let him go on supplying British copper coin. Despite all the Boulton copper and the new steam-powered mint at its disposal, the government still hadnt learned how to avoid coin shortages, which grew serious again after 1810. Private coin makers and issuers once more entered the fraythe government had not bothered legally to suppress private tokens after all. During this renewal of private coinage, described in Chapter Six, Their Last Bow, private coin issuers, taking advantage of a precedent set by the Bank of England, took to issuing silver as well as copper coins. John Berkeley Monck, a prominent citizen of Reading, was even so bold as to issue his own gold tokens, provoking the Prime Minister, Spencer Perceval, to take steps to put an end, not only to Moncks gold tokens, but to all private coinage. The campaign to stamp out private coins is the subject of chapter seven, Prerogative Regained. Despite an outcry from merchants and industrialists all over Great Britain, and opposition from some sympathetic and influential members of Parliament, the government moved to outlaw all private coins. With only a couple of exceptions, and after several delays (forced by popular complaints), all private coin issuers were forced to retire their coins by 1817. By then the government had modified or was in the process of modifying many of its coinage policies, embracing practices pioneered by the private sector, including ones it had condemned in acting to suppress private coinage, while also drawing on the private sectors impressive pool of coining talent to staff the refurbished Royal Mint. Eventually Great Britain and other nations figured out how to supply decent coin in adequate quantities. Most experts assume that the key to this success was switching from manual screw presses to steam-powered equipment (Boultons invention). The chapter Steam, Hot Air, and Small Change shows that steam power was not what mattered; nor was it what made commercial coinage successful, as several authorities have claimed. Indeed, a review of the history of steam power in Birmingham reveals that the Soho mint was the only steam powered commercial mint. It was not so much the old Royal Mints equipment as its policies that were to blame for Great Britains coin shortages. More fundamentally, a government monopoly mint simply lacks the sort of incentives that caused Great Britains competing private mints and coin issuers to produce coins of the highest quality and to administer their coinage system in a manner suited to the needs of industry. The epilogue brings the story of private coinage in Great Britain up to date by describing how Ralph Heaton II purchased the contents of the last Soho Mint at auction in 1850. Heaton used that equipment to establish the Birmingham Mint, Ltd., which became the biggest private mint in the world, and survived until just recently, having been a major producer of Euro coins and blanks. In 2003, however, the Royal Mintembittered by its failure to win a substantial share of the Euro markettook advantage of public subsidies to force its private rival out of business, violating a long-standing agreement to share foreign coining contracts with the private sector. Parliamentary investigations subsequently found the Royal Mint guilty of gross mismanagement. In December 2004, the Royal Mints status was changed from Treasury agency to government-owned firm in what many saw as a prelude to its privatization. "Good Money is the kind of book that proves that economic history can be great fun in addition to instructive when written by someone who is equally knowledgeable and witty." I anxiously await the publication of Good Money. Taking a totally fresh approach to not only the examination of the British token coinage, but also the role of money as a medium of exchange, this is a work that will delight token collectors and general numismatists alike. Good Money is no stale academic textI was charmed by the author's Ramble 'Round Old Birmingham as surely as I was enlightened throughout by his meticulous research. 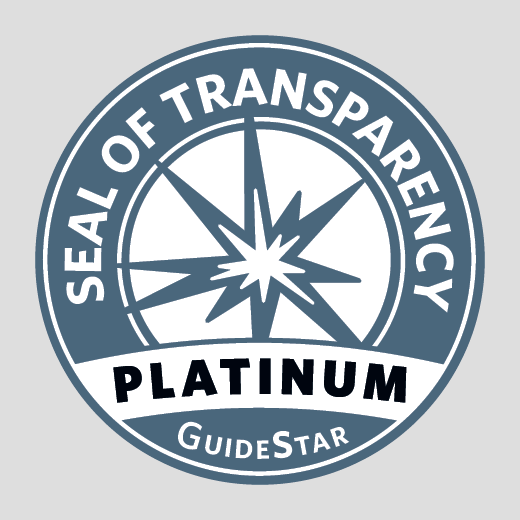 Numismatists are readers and researchers at heart and I've no doubt that Good Money will meet with an enthusiastic response within our community." George Selgin is a Research Fellow at the Independent Institute and BB&T Professor of Free Market Thought at West Virginia University. His research covers a broad range of topics within the field of monetary economics, including monetary theory, monetary history, macroeconomic policy, and the history of monetary thought.